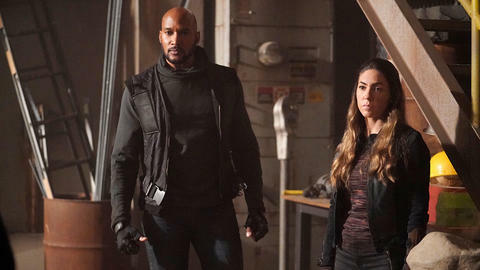 Henry Simmons and Natalia Cordova-Buckley Return to This Week in Marvel’s Agents of S.H.I.E.L.D. Download Ep. 69 to hear from the series' heroes about their 'magical' relationship! In the latest episode of “This Week in Marvel’s Agents of S.H.I.E.L.D.,” we chat with Henry Simmons and Natalia Cordova-Buckley about ep. 509 “Best Laid Plans,” their relationship with Flint, the fight against the Kree and more! Download episode #69 of “This Week in Marvel’s Agents of S.H.I.E.L.D.” from Marvel.com! Catch new episodes of “Marvel’s Agents of S.H.I.E.L.D.” on a new night and time, Fridays at 9:00 PM ET on ABC.